Interested in getting one-on-one business coaching with me? 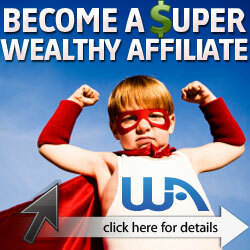 If you join Wealthy Affiliate today as a premium member, you will have exclusive access to me, via private messaging to answer all of your online business needs. With my 12 years experience in management and 9 years of online business experience, I am happy to assist you, whether it pertains to blogging, affiliate marketing, or setting up a design store on Zazzle. New to Online Marketing? I am here to help! 5. How to utilize the platform Medium to drive traffic to your site, and build a following. This coaching program with access to me is only available for Wealthy Affiliate Premium members at this time. If you are interested in receiving business coaching but do not want to purchase a Wealthy Affiliate membership, please contact me at claudiablanton@live.com for more details, and rates. I only coach 5 clients per year outside of Wealthy Affiliate, due to how much time I invest in each of my clients, so book early!